Peter Kimani who has written Dance of The Jakaranda will be the featured author at the Kenya National Theatre on Saturday June 16, 2018. The event kicks off at 11am and ends at 1pm. Peter Kimani is one of Kenya’s leading writers and poets with a long history as a journalist and editor. His first entry into the African literary space was with his 2002 novel Before the Rooster Crows. His second was for a children’s book titled Upside Down (2010) which won the Jomo Kenyatta Prize for Literature in the children’s category. His poetry is also very highly regarded. He was one of only three international poets commissioned by US National Public Radio to compose and present a poem to mark Barack Obama’s inauguration in January 2009. He launched his newest novel Dance of the Jakaranda at the Aga Khan University’s Graduate School of Media and Communications in Nairobi on Thursday March 30, 2017. The book is historical fiction set around the building of the railroad that led to the existence of a territory called Kenya. It would go on to make the New York Times Notable Books of 2017 list. After his launch he would head out to Amherst College in the US for a year as a visiting scholar. 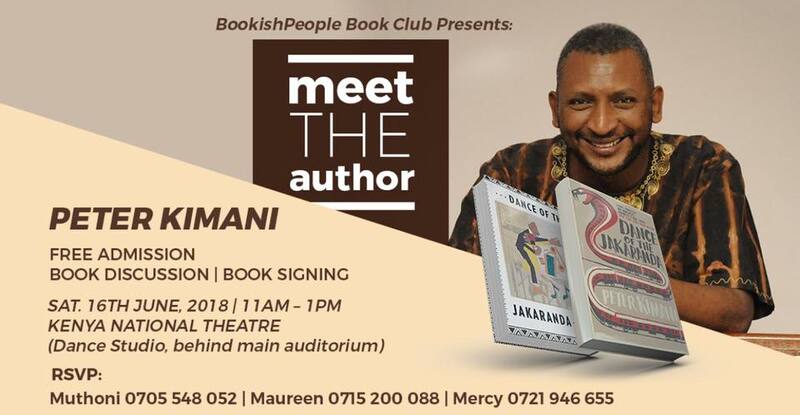 The author is set to make his first appearance on home soil at a “Meet The Author” event on Saturday June 16 at the Kenya National Theatre in Nairobi. He will be doing a reading and book discussion followed by a book signing. If you are in the city, you are welcome to meet one of the most important writers from Kenya today. My pleasure. It looks like its going to be awesome. Previous Previous post: Africans feature on UK Society of Authors’ Awards 2018 Shortlist. Next Next post: Kukogho Iruesiri Samson is GT Bank Dusty Manuscript Prize 2018 winner.